Alternative arrangements for public swimming and swimming lessons have been announced by Active Stirling following the temporary closure of the PEAK pool. Problems with the concrete layers of the main pool were discovered last month during planned repair and cleaning works and the pools at The PEAK will remain closed until March 2019 when major work is completed. Active Stirling in partnership with Stirling Council, the University of Stirling, McLaren Leisure Centre and Falkirk Community Trust has now confirmed an alternative public swimming programme and access to other pools in Stirling and Falkirk today (Wednesday 5 December) during The PEAK pool closure. Downloadable PDF available here via the official PEAK Website. In addition to securing access to Stirling High and Bannockburn High school swimming pools in partnership with Stirling Council, public swimming and aquafit classes at Stirling University and public swimming at McLaren Leisure, Active Stirling have agreed access arrangements with Falkirk Community Trust and access to swimming pools at The Mariner Centre, Denny High School and Grangemouth Sports Complex. Current members of The PEAK have been provided with the option to swim free at any of these pools or freeze their membership until the PEAK pools re open. In addition, there is reimbursement of swim lessons for the PEAK learn to swim customers for the month of December. Pay as you go swimming is available at Stirling High School, Bannockburn High School, Stirling University, McLaren Leisure Centre, The Mariner Centre, Falkirk, Denny High School and Grangemouth Sports Complex. For Stirling High School and Bannockburn High School, bookings must be made via The PEAK app, call 01786 273555 or in person at The PEAK or Forthbank reception. Payment will be taken in advance. Andrew Bain, Active Stirling Chief Executive said: “We appreciate it has taken some time in conjunction with many partners, to co-ordinate a comprehensive programme for swimming and access to other facilities across Stirling and Falkirk and that customers have had to wait to hear what options there are for swimming whilst The PEAK pools are closed until March 2019. 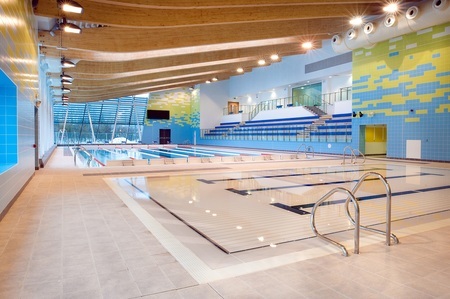 “We hope this programme will go some way to meeting demand so there exists as many opportunities as possible for public swimming, learn to swim customers, swimming for members and aqua fitness classes. “The closure of The PEAK pools was an entirely unexpected situation and we have worked hard to try and re-programme all existing activities as quickly as possible thanks to the help and willingness of our employees and partners in Stirling and Falkirk. Councillor Chris Kane, Convenor of the Community Planning and Regeneration Committee which oversees Sport and Physical Activity as well as the partnership with Active Stirling, said: “I’m sure this information will come as a relief to Active Stirling’s customers who have been patiently waiting for this clarity. “The extended closure of the pool is a unique situation where there is no simple or quick solution to bring forward such a comprehensive reprovision of swimming. For any enquiries relating to the pool closure or the swim programme please email bookings@activestirling.org.uk, quoting POOL CLOSURE as your reference, along with your/your child’s name, date of birth and postcode and we will respond to you within 48 hours.